Today I was excited to discover that I had been nominated by This Darling Adventure to receive a Blogger Recognition Award. I still consider myself fairly new to blogging and have certainly never received any awards for it so it was a really happy surprise! Thank you This Darling Adventure! And to everyone else who loves beautiful travel and adventure blogs take a minute to check hers out. It’s lovely. It’s so funny because when I first started Wellspring Health and Wellness I sort of thought of the blog as a side note. Like something that I had to check off my list when starting up my coaching business. 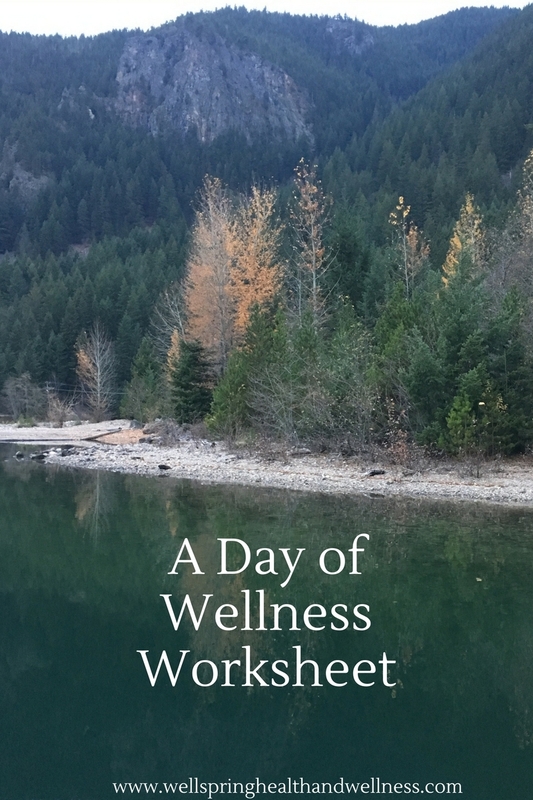 But very quickly I discovered that writing for the blog is one of my favorite parts of being a health and wellness coach. I spend so much time thinking about what it really means to be well and how we get there that blogging gives me a means for getting some of my thoughts and ideas down in a way that I can share with people. When I first started the blog I’m pretty sure it was just my mom and sister reading it. Nowadays it’s not uncommon to run into someone in town and have them stop and mention something from a post that I’ve written how it has helped them in some way. To hear that from people keeps me inspired and motivated to continue writing. Just hit post. I think especially starting out as a new blogger there can be this fear of getting started (I speak from experience because I was there not that long ago). You might feel like everything has to be perfect, or like you need to know how every little thing on your website works before you can launch. My advice would be to get started and don’t over think it too much! You can figure it out as you go along. One of the first blog posts I ever wrote was actually about this very thing – Starting Where You Are At: The Art Of Diving In. Don’t be afraid to tell your personal story. We learn from each other through our stories. You might think people won’t be interested in some little interaction that happened between you and someone else on the bus that ended up leading to a personal epiphany but they are! Adding in your story is so much more interesting than just listing bullet points of information. It’s your personal stories that draw people in and make it possible for them to relate to you on the human level. You don’t have to be an expert on everything. Being willing to show your flaws sometimes makes for the most powerful and relate able lessons.